Happy Thanksgiving everyone! Hope you all had lots to be thankful for! Image via Sweetopia for Gluten Free Coconut Cupcakes with Coconut Icing. 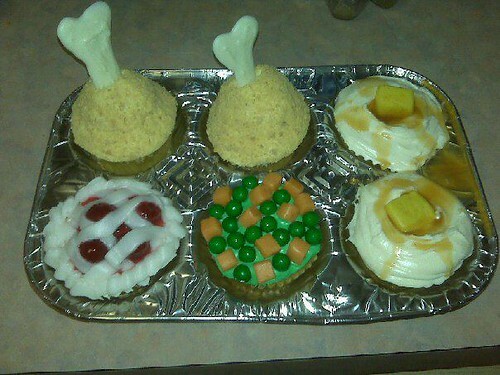 Looking for something original and clever to do with your cupcake pan this Thanksgiving? 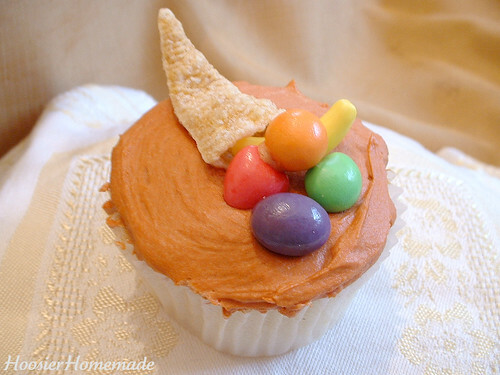 How about stocking up on some salty Bugles and creating a cupcake cornucopia? 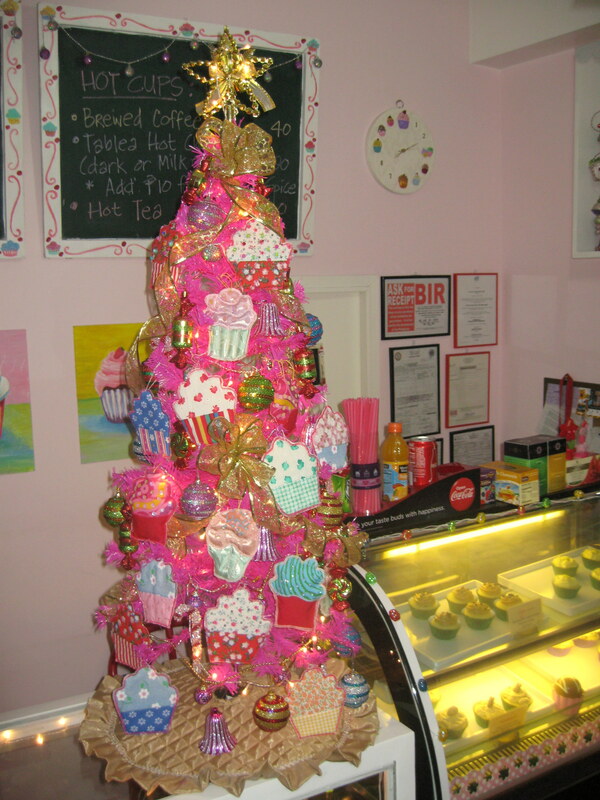 That’s what Hoosier Homemade did and it looks great! 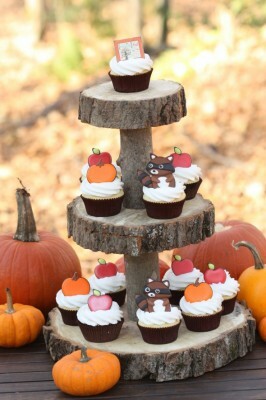 Visit Liz’s blog for other great Thanksgiving cupcake ideas! What is it about Thanksgiving that invariably leads to pleas from turkeys for clemency? Do we see similar images from cows at Fourth of July? Fish and shrimp at New Year’s Eve? Perhaps the answer is that we draw the turkey as children, tracing our hands with crayons, turning our thumb into the smiling turkey face, our fingers into the colorful feathers. Seemingly every child is connected to turkeys, while all other animals are, well, options. 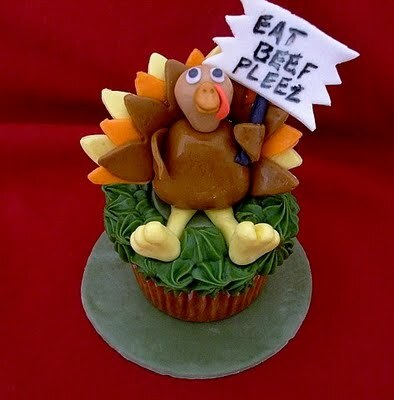 In an hour-long scan of turkey cupcakes, ranging from cupcakes made from ground turkey to cupcakes celebrating turkeys, this is the one turkey who captured my heart and made me think twice about the bird in my refrigerator. If I had seen this handsome Tom earlier this week, perhaps I would have served up imitation cupcakes, under silvery domes, to be lifted to the surprise of my guests. 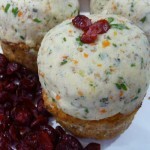 Ever thought of turning a boring old meatloaf into a cupcake? 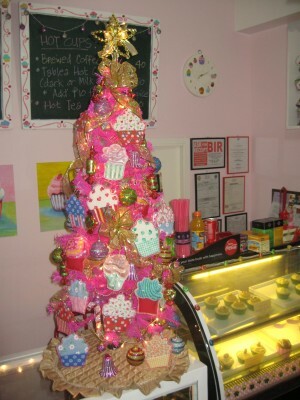 The Meatloaf Bakery in Chicago specializes in meatloaf cupcakes. They have taken the average meatloaf recipe and turned it into something unique. Check out this meaty Thanksgiving cupcake, made of lean ground turkey, fresh garlic, herbs, and Parmesan cheese and topped with stuffing. Go here to check out some of their other original creations, including “El Loafo del Fuego” and “No Buns About it Burger Loaf”. I just might have to give this place a try since they’re not too far away from me! So, what are your thoughts? 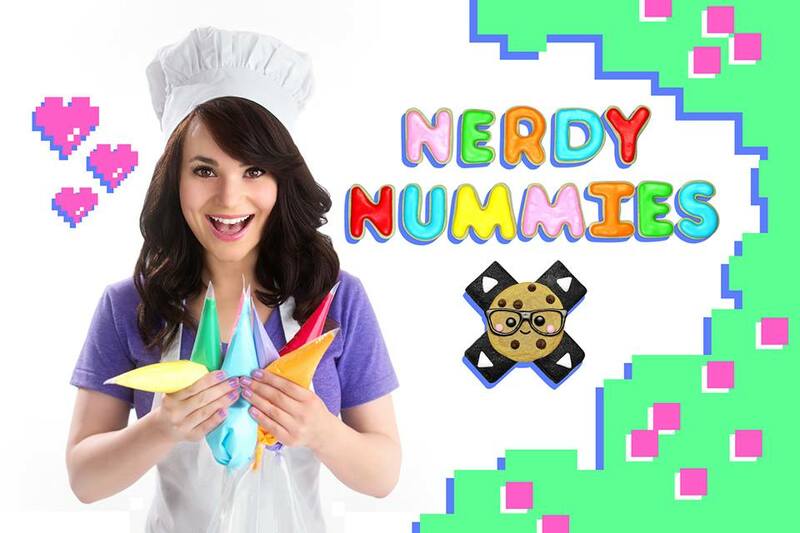 Would you try a meaty cupcake?